ES Interactive, a contract programming and custom web design company, based in Redmond, Washington, Vero Beach, Florida and Las Vegas, Nevada, has been in business since 2000, providing custom website design, ecommerce solutions, custom programming and search engine optimization services. Our experience spans more than 31 years in software development, serving companies large and small in dozens of industries. From the biggest of big to the smallest of small, there is no industry in which we do not excel. With more than two decades of true customer service oriented experience in Corporate America, ES Interactive emerged with a focus on commitment and dedication to smaller sized businesses. 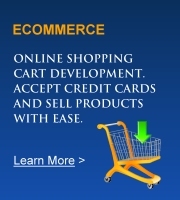 If we can provide quality solutions for companies like General Mills, Okidata, Holland America, Avon Products, Cadbury Schweppes, Coca Cola and Microsoft - to name just a few - then certainly we have the skill sets and experience to help smaller businesses - and to do it better than other web development companies lacking the time proven experience of ES Interactive. Our Company Mission is to deliver the highest quality, leading edge technology solutions and custom web and website design services in a timely, affordable manner by accelerating the delivery cycle without compromising quality, effort or dedication. We seek to - and succeed at - bringing together the most talented and driven individuals to form the optimal blend of business planning, technological knowledge, enthusiasm, skills, experience, logic and problem solving professionals that the industry has to offer. By providing the time, tools, and talent, entrepreneurs and businesses can focus on other critical, multi-stage areas such as management, marketing, funding and growth of customer base. Our custom software development and web site design approaches are the result of years of experience developing software projects for a wide range of companies. From the "need it yesterday" projects to major corporate and eBusiness initiatives, our approach represents our "best practices" methods of checks and balances. 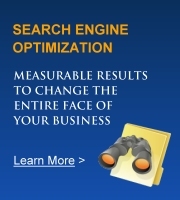 It is designed to provide our clients with more predictable and measurable outcomes. 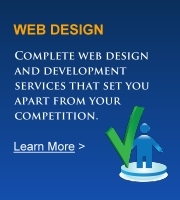 Learn more about what makes our development and web design services better.